Mapmaking fulfills one of our most ancient and deepseated desires: understanding the world around us and our place in it. But maps need not just show continents and oceans: there are maps to heaven and hell; to happiness and despair; maps of moods, matrimony, and mythological places. There are maps to popular culture, from Gulliver's Island to Gilligan's Island. There are speculative maps of the world before it was known, and maps to secret places known only to the mapmaker. Artists' maps show another kind of uncharted realm: the imagination. What all these maps have in common is their creators' willingness to venture beyond the boundaries of geography or convention. 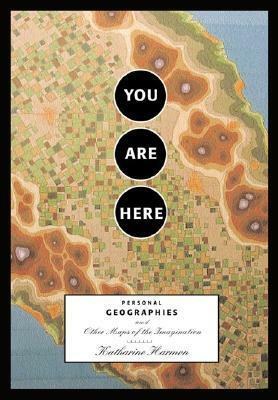 "You Are Here" is a wide-ranging collection of such superbly inventive maps. These are charts of places you're not expected to find, but a voyage you take in your mind: an exploration of the ideal country estate from a dog's perspective; a guide to buried treasure on Skeleton Island; a trip down the road to success; or the world as imagined by an inmate of a mental institution. With over 100 maps from artists, cartographers, and explorers, "You are Here" gives the reader a breath-taking view of worlds, both real and imaginary.